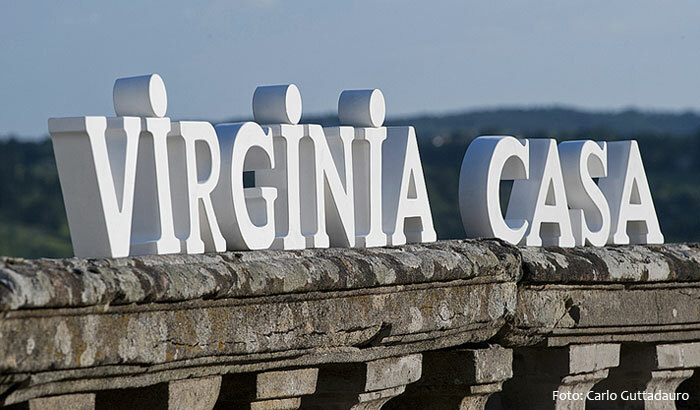 In 2009 Virginia Casa was born, an elegant and refined brand through which the Company distributes to major stores mainly located in Italy but also abroad, italian pottery for home decor and dinnerware, totally produced in Tuscany. After putting in place adequate sales network, in a few years, the brand achieves significant results with a lot of sale points and a varied proposal of lines with different styles, colors and shapes. Created by the able hands of experienced potters, the articles by Virginia Casa are made to seduce and captivate through their sober yet refined beauty, and their strong and expressive personality; the tuscan dinnerware and home decor pottery by Virginia Casa are able to enrapture senses and feelings, in a symphony of emotions dancing lightly around colors, sounds and smells of the traditions: it’s Sunday, the table is ready, the dog is chasing lizards in the yard, the sun is ripening the vine; and then our life: our passions, our desires, our little daily pleasures. Virginia Casa is able to unite past, present and even future around the beauty, Virginia Casa is who we were, she’s who we are, she’s who we’ll be; Virginia Casa is where we were, she’s where we are, she’s where we’ll be; Virginia Casa is where we want and where we always want to be because Virginia Casa is “La Fabbrica che ti fa sentire a Casa”.